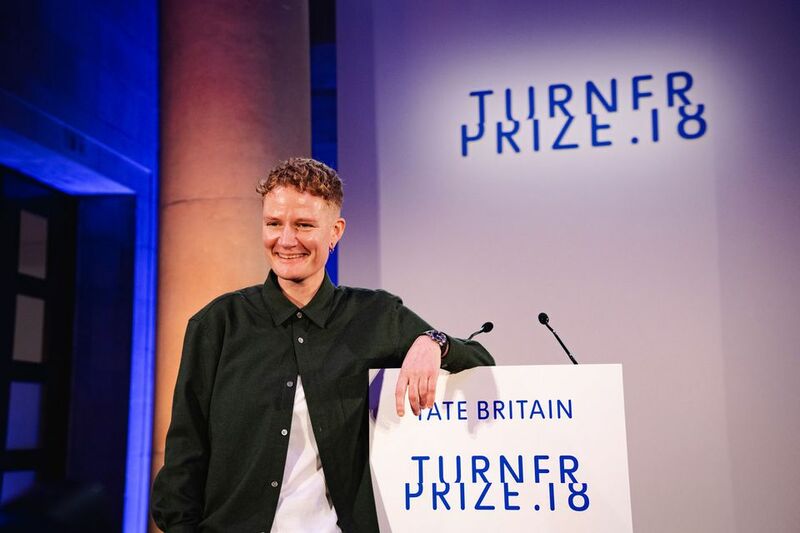 Charlotte Prodger, the Glasgow-based film and video artist, won the 2018 Turner Prize at Tate Britain last night, and immediately used her speech to make an argument for the importance of public funding for the arts in Scotland. “I wouldn’t be in this room were it not for the public funding that I received from Scotland for free higher education and then later in the form of artist bursaries and grants to support not only the production of work but also living costs,” Prodger said from the podium. She had been presented with the £25,000 award by the author Chimamanda Ngozi Adichie who also used her speech to talk about the universal cultural importance of the arts. Prodger’s use of the iPhone is part of a long-held interest in the “intertwined relationship between the body and technology”, she says in the film. She points to the way “your fingers get in the shot, they’re fleshy… you can see the blood when you put your finger [over] the tiny lens, you touch and rub the screen to alter the exposure”. Bodily systems “are enmeshed with the camera—it’s a kind of symbiosis, but also a kind of grappling: I like that”, she explains. Prodger became the third woman in a row to win the prize, after Helen Marten in 2016 and Lubaina Himid last year—the first time this has happened in the prize’s history. It took nine Turner Prizes before a woman, Rachel Whiteread, won it, and in the award’s first 25 years, it was given to only three women. In the past ten years, six female artists have been crowned winners.